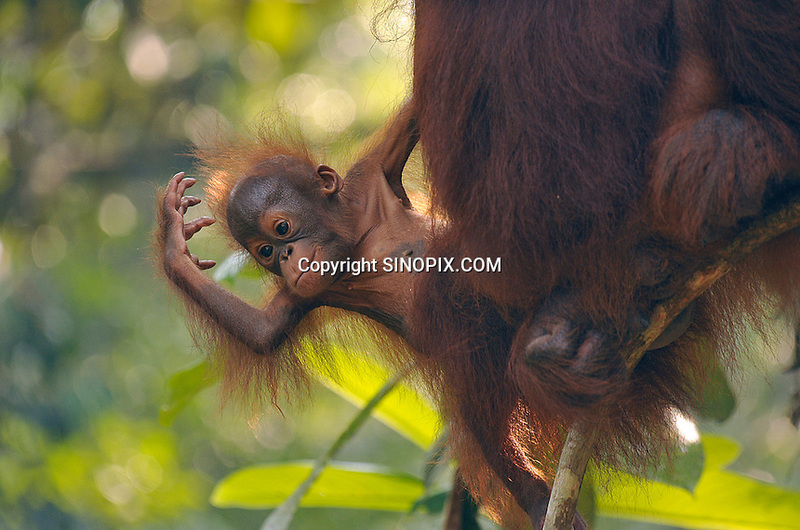 Delima's baby is never more than feet from her body at the Semenggoh Reserve, Sarawak, Malaysia, August 2009. They they are part of Sarawaks's Orangutang Rehabilitation Programme. Delima is a rehabilitated Orangutang that lives semi-wild.